And we can’t end the week without a look at White Accessories! So as you can gather by now, white is trending this year. 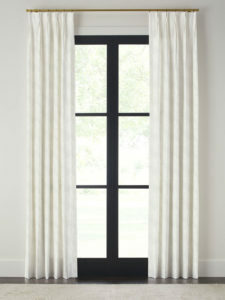 However, white has always been a staple in design, it’s just the ingenious ways in which we see it used in home decor. From dishware to draperies & upholstery to painted cabinets, white is easy to bring into the mix. 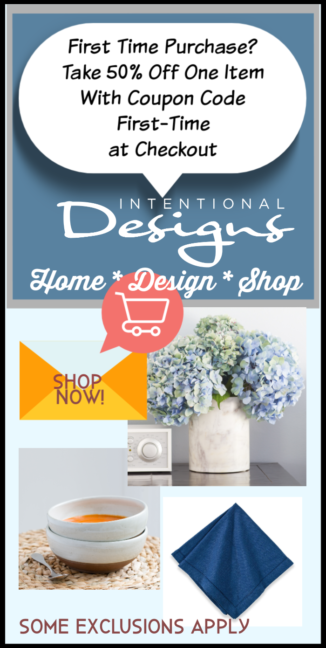 So first we’ll look at a few of our Home Decor Table Top products. From White distressed Pillar Candles, Terracotta & White Glazed Bowls, Marble Serving Pieces, Gray & White Farmhouse Dishes & Cotton Hemstitch Napkins in Ivory. As you can see, starting with a neutral palette just keeps things simple. 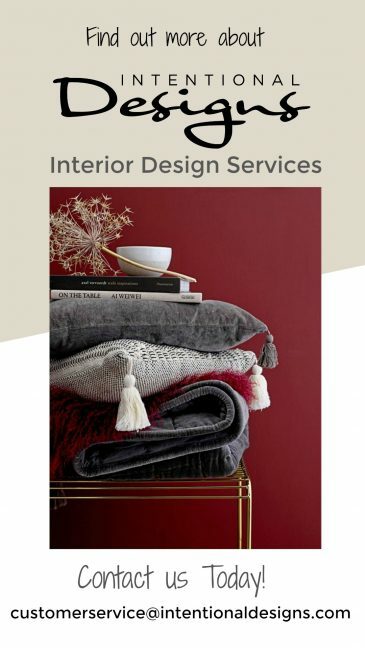 Because it’s all in the details, the beautiful distressing or glazing, marble, patterns or fabrics that make each piece special, not boring or blahhhhhh! Second, White Slipcovered Parsons Style Dining Chairs add a soft neutral touch to the all-white dining room. 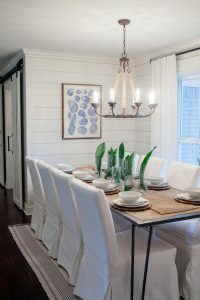 And completing the shiplap wall design are simple white drapery panels. 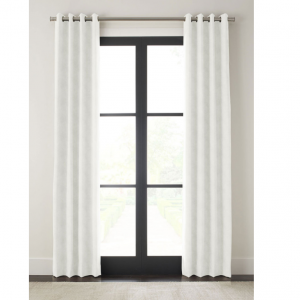 Get the look of all white draperies from our website, https://IntentionalDesigns.com. So next time you’re looking for neutral inspiration, look to shades of white to add texture and warmth to your space.